Edraw Mind Map Creator's visio export capability allows you to export a mind map to MS Visio format .vsdx with minimum effort. With this Mind Map for Visio Creator, you can not only quickly create a basic mind map, but you also have the option to share it with your colleagues and friends who use MS Visio on their computers via exporting your mind map file to Visio VSDX files. 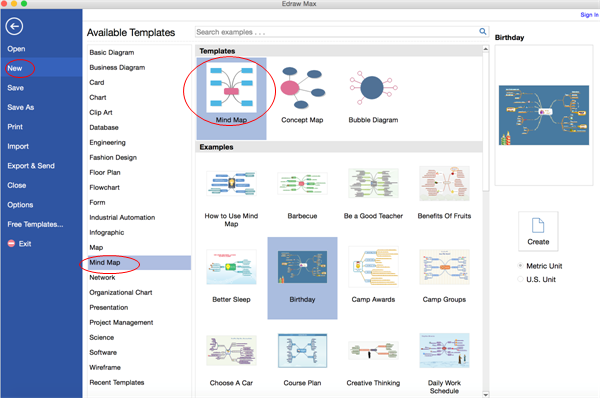 Go to File menu > New > Mind Map, and then double click the icon of Mind Map in templates window. Choose a desired font under Home tab. Customize the size, color and alignment by clicking the relevant menus. 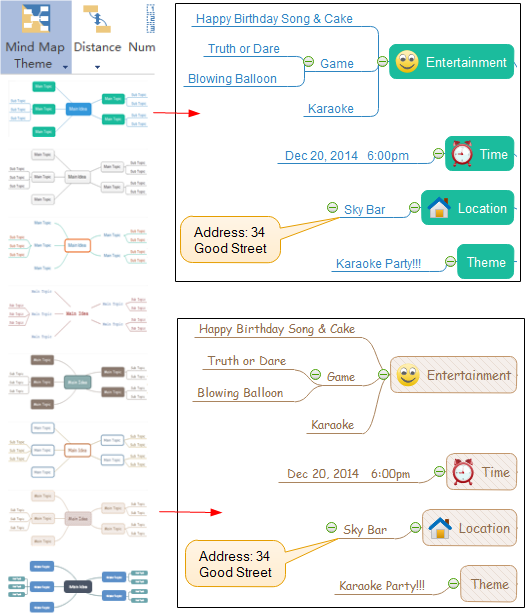 Simply navigate to Mind Map tab > Mind Map Theme, select the one you prefer. 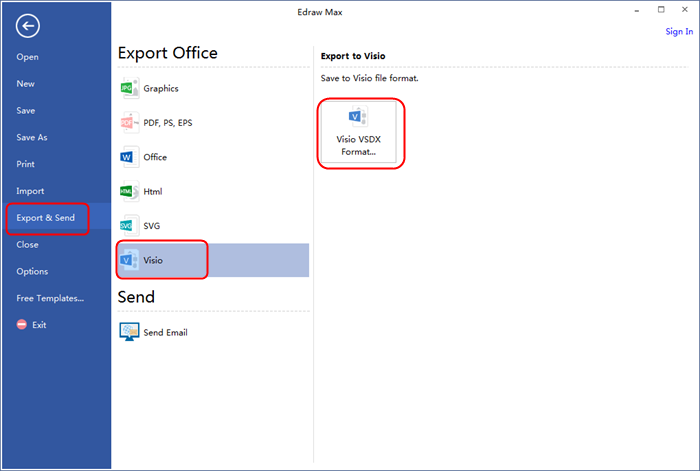 Once the mind map is completed, simply select Export & Send under File menu to export the mind map to Viso vsdx format.